In recent years, it seems that the German premium brands have been trying to create and fill every niche imaginable. 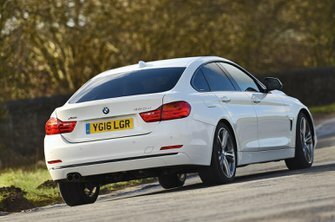 A good example of this is the BMW 4 Series Gran Coupé: a car that sets out to combine the comfort of a four-door saloon with the looks of a coupé and the practicality of a hatchback's wide-opening tailgate. It might sound like a half-baked idea, but there is method to this apparent madness. It looks more svelte than the 3 Series saloon and there’s no ignoring the usefulness of that hatchback boot. 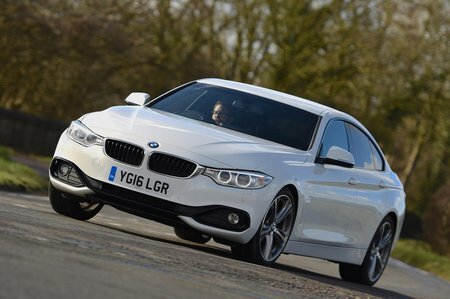 The handling should also follow the sporty theme set by the 4 Series Coupé. So far, so good. The engine line-up mirrors the Coupé, too, with a number of four-cylinder petrol and diesel engines kicking things off. If you’re after a bit more pace and refinement, six-cylinder units are available, and you can add four-wheel drive for extra traction. An automatic gearbox is optional on lower-rung engines and standard on higher-end ones. Read on for our full verdict, including what the Gran Coupé is like to drive, how its interior stacks up and how much it will cost you. We’ll also tell you how it compares with rivals such as the Audi A5 Sportback. When you've made up your mind which car to buy, head over to our New Car Buying page for the best deals around.